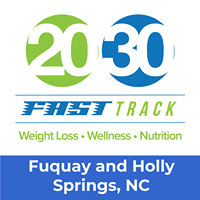 Local GuideHolly Springs is fortunate to have a wide variety of retail business and service providers in our home town. Thanks for supporting our members and shopping locally. "Where is the roadmap? Finding your own path." 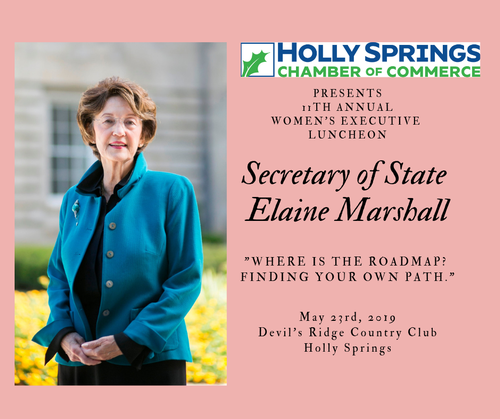 Join us as we hear from Keynote Speaker, Secretary of State, Elaine F. Marshall. Visit with old friends, meet new ones, expand your network of like-minded women. ​Silent Auction and goodie bag donations are needed. Contact Christine at Christine@HollySpringsChamber.org to participate and get your business noticed by some of the most influential women in the area! Blackened Salmon Salad (gluten free option if you remove crispy onions)- Baby Spinach, Mandarin Oranges, Toasted Almonds, Tomatoes, Crispy Onions with Asian Seasame Dressing on the Side and Butternut Squash Soup. Sliced Medallions of Beef - Burgundy Jus, Corn Risotto and Carrots and Green Beans. © 2016 Holly Springs Chamber. All Rights Reserved.